(TibetanReview.net, Oct10, 2018) – Seventeen MPs from four political parties have come together to constitute on Oct 7 the 15th edition of a Tibet advocacy group in the Lower Chamber of the French parliament, said a statement from the Bureau du Tibet, Paris, of the Central Tibetan Administration (CTA) Oct 9. The 15th Tibet Study Group at the French National Assembly (Assemblée Nationale) is led by the new deputy Madam Élisabeth Toutut-Picard from La Répuliaque en March, serving as its President. The Bureau said Madame Picard had visited Tibetan communities at Dharamshala in Jan 2018 and the Tibetan Parliament-in-Exile in Nov 2017. 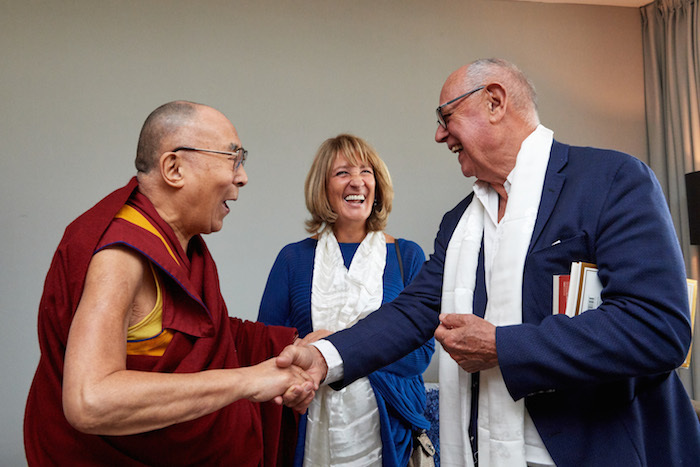 She most recently called on the Dalai Lama during the latter’s Sep 2018 visit to Rotterdam, the Netherlands. She was stated to have hosted a reception marking the Dalai Lama’s 83rd birthday in her personal capacity in the National Assembly. CTA’s visiting finance minister Mr Karma Yeshi took part in that event. The membership of the new Tibet Study Group is stated to include eight from La République en Marche Party (the party to which the current French President belongs), six from Les Républicains Party, one from the Movement Démocrate et apparentés and two from Union Démocrate et Independent. The Upper Chamber of the parliament, the Senate, already has a similar Tibet group.